Just like you, we want the very best products for our lovely pets. If you’re lucky then your local pet shop, groomer, vet or pet food and accessory store are already a Bestpets stockist and are offering you some great bargains. With thousands of quality pet products available from Bestpets, you’re sure to find everything you need for your lovely pets right here. 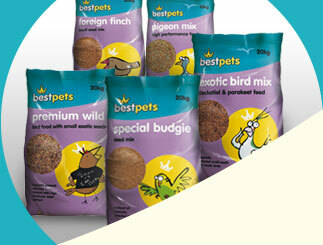 If your local pet product stockist doesn’t have what you’re looking for, tell them about the Bestpets range. You can recommend them to us, or us to them. Tell them we have trade-only depots nationwide, so they are never too far away from Bestpets. We hope you enjoy browsing around and please do sign up and stay in touch. All products are available from your local independent pet shop. Bestpets range of pet products and accessories for – Cats, Dogs, Rabbits, Birds, Bird Feeds, Pigeon Feed, Hamsters & Guinea Pigs, Pet Fish, Pet Foods, Pet Beds, Pet Toys, Pet Beds, Bedding, Pet Blankets, Dog Grooming, Cat Litter, Cat Collars, Dog Collars, Leads, Feeding Bowls, Pet Treats, Fish Food, Fish Tanks, Fish Tank Pumps & Filters, Pet Accessories, Pet clothing, Pet Medicines, Bird Cages, Reptile Pet Products, Reptile Tanks, Heaters. Contact Us / Having Problems?